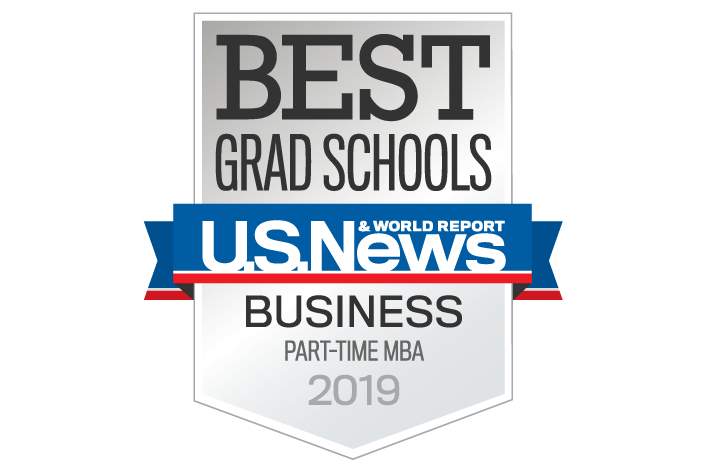 U.S. News and World Report has released its 2019 rankings of the best graduate schools in the U.S., and the part-time MBA program at the University of New Hampshire’s Peter T. Paul College of Business and Economics has been ranked among the top 100. Paul College was the only business school north of Boston to make the top 100. This is the second year in a row that both the part-time and online MBA programs have been ranked in the top 100 by U.S News. UNH, New Hampshire’s flagship university, has designed the part-time MBA program for busy working professionals “We offer several program options to meet the needs of our part-time MBA students, with both face-to face evening classes on our Durham and Manchester campuses and online options," says Victoria Parker, associate dean for graduate education and faculty administration. "They can adapt each term, depending on their other professional and personal commitment." "Enrollments have increased by 40 percent in the past five years." U.S. News and World Report based its rankings on five criteria for part-time MBA programs: peer reputation, average GMAT and GRE scores of students starting the program; average undergraduate GPA; average number of years of work experience; and the percentage of the total MBA program enrollment that is in the part-time MBA program. Earlier this year, U.S. News and World Report recognized Paul College’s online MBA program with a top-100 ranking. UNH offers the only part-time and online MBA programs in New Hampshire that hold the prestigious Association to Advance Collegiate Schools of Business accreditation. Only 30 percent of MBA programs in the nation and five percent in the world hold this distinction.